Which Are The Best Solar Panels For Your Home In 2017? In Australia we have seen significant developments in the solar energy industry with costs of the latest technology coming down to record affordability levels, while the efficiency of these panels is steadily improving, meaning greater savings. While we stay up to date on all the latest solar tech talk, we often get asked which are the ‘best’ solar panels for the home. Now this is not always a simple answer as all homes are different and more to the point each person might have a different overall goal. What we can say though through our extensive experience in the Australian solar market is that typically the important factor for most people is bottom line cost savings. People look at installing solar panels much more like you would view a business deal or investing in stocks. Simply put through the power of solar, people invest X and after 12/18 months they see a profitable return through energy bill savings. Now this might seem obvious, but if you don’t have a good grasp on technology then this can be overlooked. Really this is the same as not all cars are the same, some are more powerful and more efficient. The same can be said when it comes to solar panel technology. At Solar WA we do tend to only use the most efficient solar technology because we know that despite the additional cost, the long term savings are worth it and we look to educate our customers on this fact. Solar panels can be divided up nicely into 3 tiers and this allows us to easily see which are the ‘best’ solar panels. Tier1 : The top tier includes the top 2% of solar PV manufacturers. Tier 1 providers invest very heavily into their research and development, utilising the state of the art manufacturing processes and have been developing solar panels for longer than 5 years. Tier 2 : These solar PV manufacturing companies still produce good quality products, however they invest less in research and development, use manual manufacturing processes thus reducing efficiency and have been developing solar panels for under 5 years but more than 2 years. Tier 3 : Really this is where a big chunk of the solar panel market can be clumped together. These solar PV companies have been active for under 2 years, they are much more about low prices, therefore research and development is minimal, manufacturing processes are manual and fast, which ultimately reduces quality. So Which Are The Best Solar Panels For Your Home? 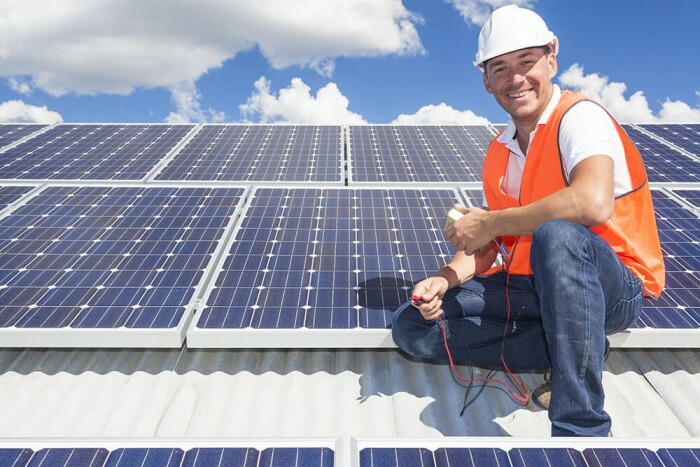 As outlined above, there are clearly different levels when it comes to solar panel technology and as such each solar panel installer has to decide what product they are going to use. Here at Solar WA we believe in only using the best, which are the Tier 1 solar panels. Solar panels that our team installs use the best grade of silicon, meaning that the solar panel cells will have a much longer life and convert energy much more efficiently than a cheaper Tier 2 solar panel. Click here to see a list of the solar panels that we use in all of our residential solar panel installations. If you want to find out more information, then please send us an enquiry or give us a call today.